In Costa Rica there are very few families with a history in coffee that dates back over a century to the 1880’s, when Costa Rica’s independence from Spain was still evolving and coffee exports were driving the nation towards a coffee-focused future. This Costa Rica microlot coffee is produced by Carlos León, whose great grandfather, first established growing operations on the El Leon De Heredia Estate during the late 1880’s in the Santiago province of Heredia on a plot of land he named, El Otoño. Patrocinio passed away in 1928 but not before transferring his extensive knowledge of coffee growing, milling techniques and trade secrets to his son in law, Juan León Villalobos. Still to this day, the León family produces and mills its own coffee, branding each bag with “JLV” in honor of Juan and the family legacy. 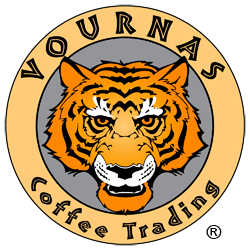 We also have available our Costa Rica El Tigre SHB and our Costa Rica Tarrazu Puma. To view a full listing of our coffees please visit our coffee offerings page. El Leon De Heredia is located at an altitude of 4,000 feet (1350m) in the San Isidro de Heredia region. whose soil is rich with minerals from the nearby volcanoes of Barva, Irazu and Poas. These minerals act as natural fertilizers, helping to impart the special flavor and cup characteristics. Additional fertilizers improve bean size and characteristics as well as overall cup profile, acidity and aroma. At harvest only 100% properly ripened cherries are gathered and sorted by hand; a decades old method from the days before sorting machines that guarantees the best quality. At the family mill, traditional artisan milling techniques that have been handed down through the family for generations; no large industrial process is used in the milling or drying stages. Following the pulping, the beans are fermented in tanks for approximately 36 hours and then washed again with clear, pure water. These Costa Rica microlot coffee beans are 100% sun dried which also helps preserve bean character and profile; it also gives them their unique and beautiful blue-green color. 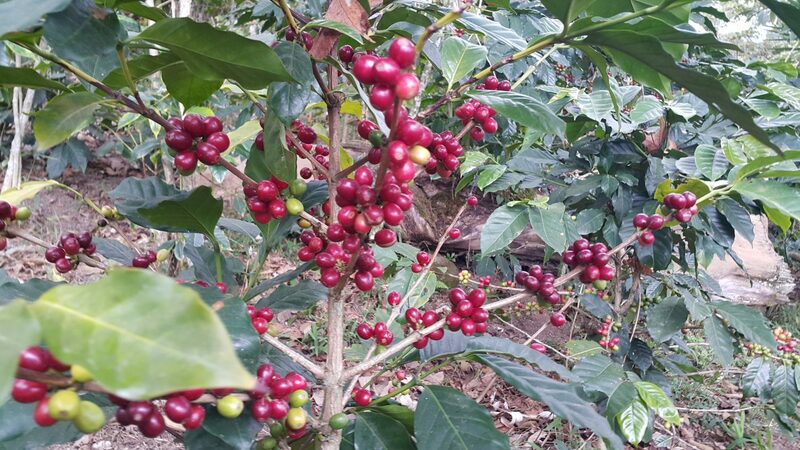 Many factors contribute to making this a truly special coffee, and the history of the family farm is certainly quite significant in this regard. 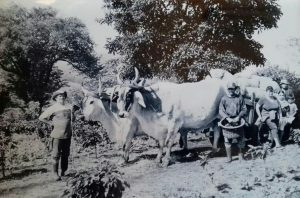 The 20th century chapter of the Villalobos family is largely shaped by the decision of Juan, his brother-in-law, Daniel and widowed mother-in-law, Juana Valerio de Hernandez assuming a shared management of operations in the early 1930’s, following the passing of the family patriarch Patrocinio. The decision was made to established another family run mill, La Rosa, which was first located near downtown Heredia and later relocated a few kilometers north to Santa Lucía de Barva in 1972. During those four decades, their coffee was dubbed the “JLV SI Especial” (best of the best!) Juan passed away in 1983, leaving the family’s incredible legacy to his son, Humberto, father of current owner, Carlos. When Humberto passed in 2002, Carlos assumed the role of his forefathers, setting forth down the provincial path before him, and like any good and hard working caretaker he does so with love, honor and great passion for both coffee and ancestors alike. Click here for more about this Costa Rica microlot coffee including full origin details.